In Praise of "Pasted on Themes." I don't know how many times I've the complaint, "that game is a lot of fun, but that theme is just pasted on." Many games utilize a neat mechanic, but put a far fetched theme over it to make it a little more colorful and a bit more fun. Here are some of my favorite games in which the mechanic has little or nothing to do with the theme. Add yours if you like. Look, you need to get red things to red places. You make links to get them there. You can travel more links if you upgrade how many links on a turn, some links are more expensive to build. Turn order is important. None of this has anything to do with running a railroad, but putting the railroad theme on it makes it colorful and fun. Who gives a rat's necktie if it lacks realism? This is a chaotic canasta type game with bonuses for completing sets that can influence the game. It has absolutely nothing to do with rebuilding Rome and the issues involved. But any game that a grown man say "Rome demands rubble." 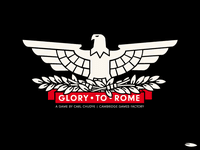 At let's someone else yell back "Glory to Rome! ", while basically playing a soured up set collection game, is fine in my book. The history of the Medici family is one of the more interesting things you could ever study. 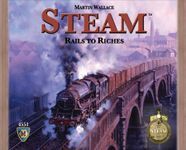 But, other than learning the names of some of the people involved with this family, you will learn nothing about this subject from playing this excellent bidding game from Knizia. I could come up with dozens of themes for this game system, but this adds the color and window dressing you need. Like Tom Vasel, I don't know why they have to find a painting of some old sourpuss on the cover, but I can live with it. There are two reasons why the designer must have picked balloon racing as a theme. First, the mechanics are rather simple and almost certainly crystalized before theme was taken into consideration. But secondly, and more importantly, if the theme were true to the brutal nature of this game, it would be too dark: Balloon Cup is an emotional rollercoaster of crushed hopes and searing frustration, caused by an opponent who somehow knows just where to strike to cause you the most pain, forces you to score against yourself, and always manages to draw the one card you were hoping for. If Balloon cup were appropriately themed, it would be a fist fight, or a road-warrior-esque death match. Or maybe that movie about people who die inventive deaths in a hypercube. You can easily make your own version of this game with poker chips and generic pawns. 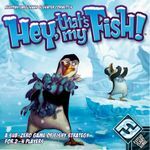 But the cute penguin theme makes it more visually pleasing to play and more fun for a family gaming session with kids! Your other games may have pasted on themes, but are they pasted on five times??? The concept is that like a deck of cards or dominoes or ice-house bits they have one set of game bits that can be used to play different sorts of games. 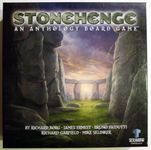 They had five different designers have a go at it and each came up with a completely ridiculous, barely tangential explanation as to how their game relates to Stonehenge, including one that involves anti-gravity racing. What you get is 5 decent, mid length, mostly euro type games in one box, with enough bits to encourage you to make your own stuff and submit it to the publisher and/or download games other people have submitted. A perfectly cool worker placement game which I've been itching to give another play, but I pity the poor SOB who bought this thinking it had any of the feel or mechanics of a game of good ol' books and dice Dungeons and Dragons.